Sign up for my Freebies, Giveaways, and Updates List and get this FREE. 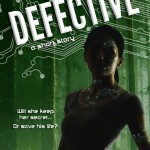 Will she keep her secret or save his life? Z43217, commonly known as Zee, is defective. She has all the skills of a companion droid, and all the military expertise of a soldier. Everything she needs to become a proper spy, yet she keeps failing at the most simple task of passing for human. All she wants is to be chosen and make her Sifu proud. On her first mission, Zee befriends a charming boy named Kuta. Soon she realizes that Kuta’s life is danger and only she can save him. Zee has a mission to complete, an identity to keep secret, and a home to save, but Kuta is the first person to treat her like a real girl. She must decide if she will follow protocol or if she will follow her heart. 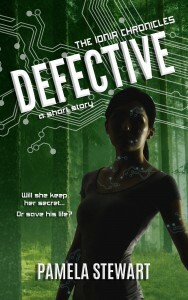 Sign up for my Giveaways, F reebies, and Updates list and get Defective (supa-cool android spy book). CLICK HERE!